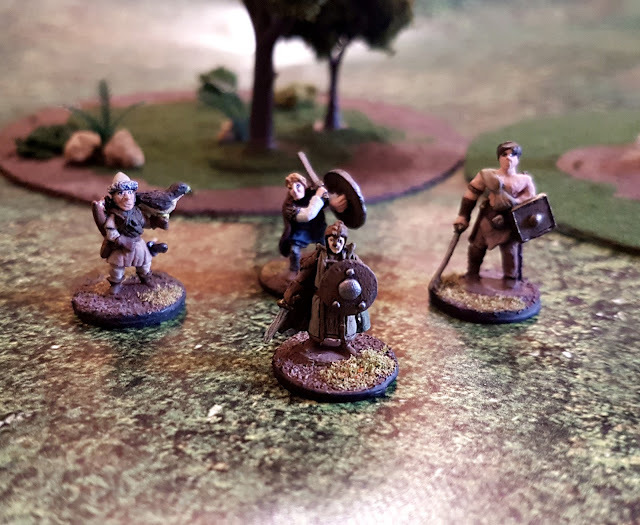 In Game 21 of JADE's 1st AD&D Campaign Hymns of a Vagabond, we encountered Sirva the Human Paladin, and her travelling companion Vestan the Elven Fighter. The two claimed to be old friends, but from their conversations it would seem that they hadn't seen one another in some time. Vestan was certainly the quieter of the two, letting Sirva do most of the talking which only added to the mystery. We haven't had a chance to learn much about Vestan, having only known him for a day. However he seems to be a bit of a loose cannon, readily departing the group to do what he wants to do. 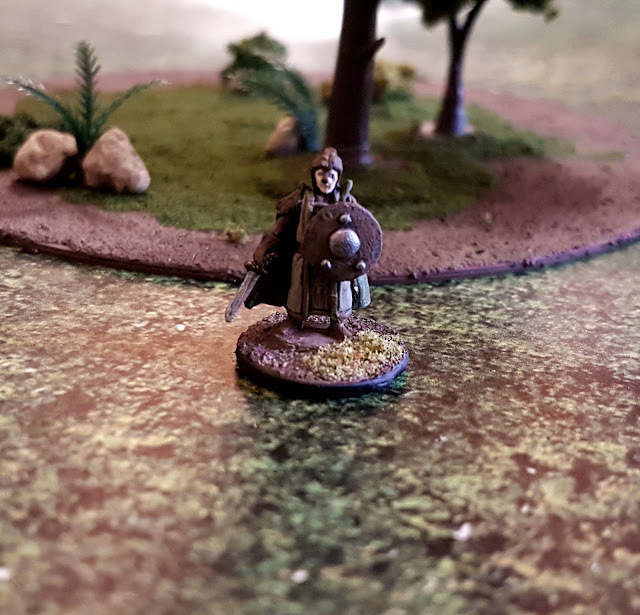 We are afraid that even though he is only an NPC that he will end up getting the group into trouble. But we will have to wait until next game to find out. 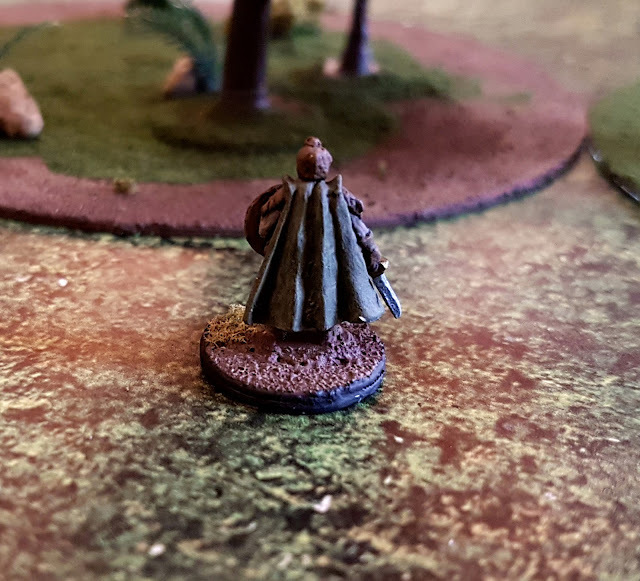 Vestan's mini comes from Splintered Light Miniautres (makers of fine 15mm fantasy and historical figures) and can be found in the Elven Adventurers pack.